Broadly speaking, the world of shelves used to be divided into two halves. On the one hand there were the elegant ones that looked good, but were inevitably less stable. Then there were the sturdy ones whose robustness was patently obvious at first glance. With grid, however, we are presenting a completely new kind of shelving system that combines the best of both worlds in the most elegant way imaginable. With cabinet inserts in contrasting colours, grid can always be designed to look unique. The chamfered sides and shelves lend grid a delicate appearance in spite of its extreme stability. grid is always different, yet it remains constant. With front panels in contrasting colours and varying heights, it can be transformed into a practical and attractive shelving system for the dining room. When configuring grid, the fool-proof 3×3×3 rule applies: three system widths and three end heights can be combined with three different shelf depths as required. Together with our various colours, cabinet inserts and front variants, this provides a multitude of individual design options. True diversity shows itself in the small details, and grid is certainly no exception. 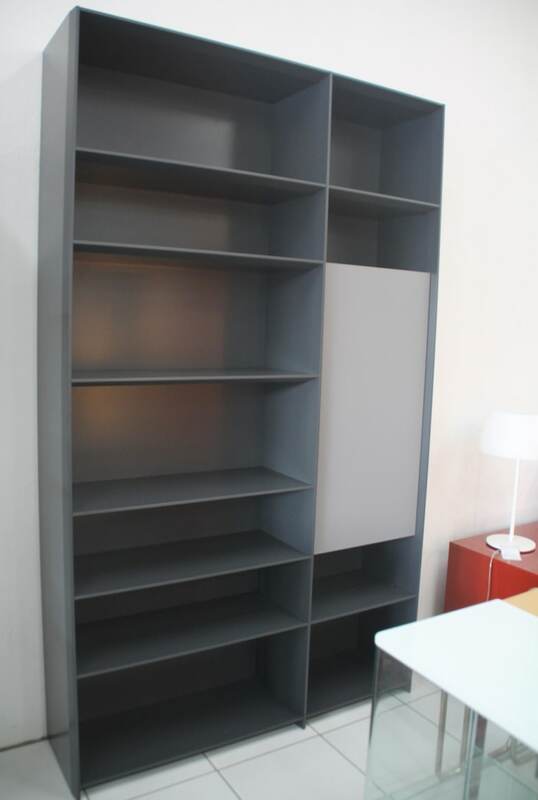 Back panels, shelves and side panels can be coloured individually in any shade required. The same applies to the cabinet inserts which are fitted with drawers, doors or flaps and therefore make a real difference on any scale. Do you have a question about "grid"? How can we contact you?